If you aren’t following me. I’m located in Fork To Spoon. 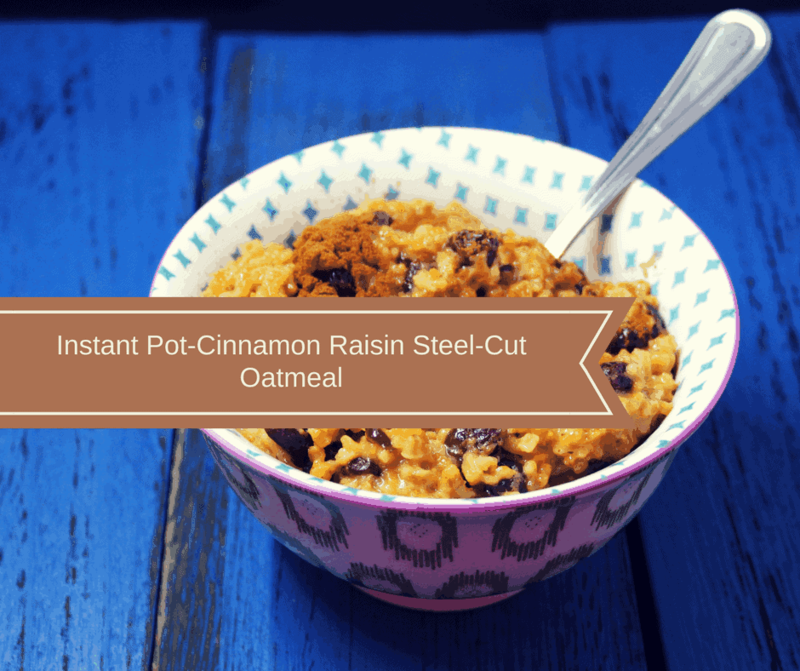 I usually do a few recipes a day for the Instant Pot every day. So, if you are looking for more recipes, make sure to check back. Add the butter and steel cut oameal to your Instant Pot. 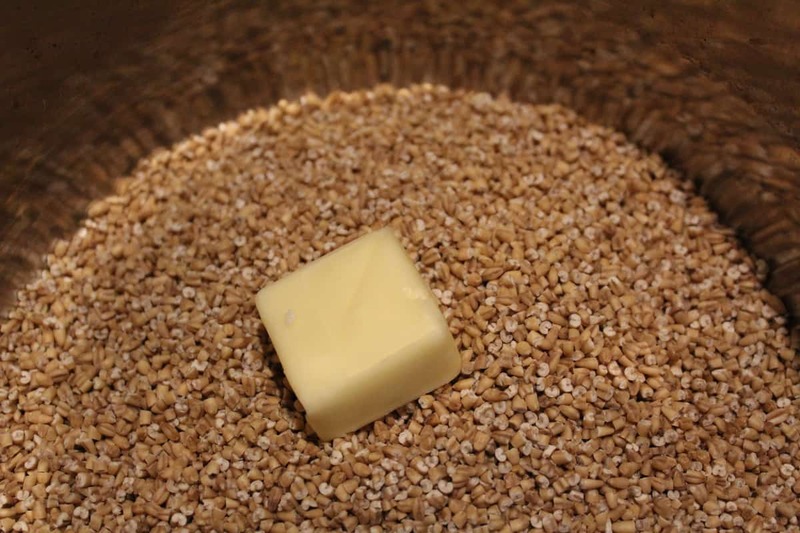 Saute (or toast) the steel cut oatmeal in butter. 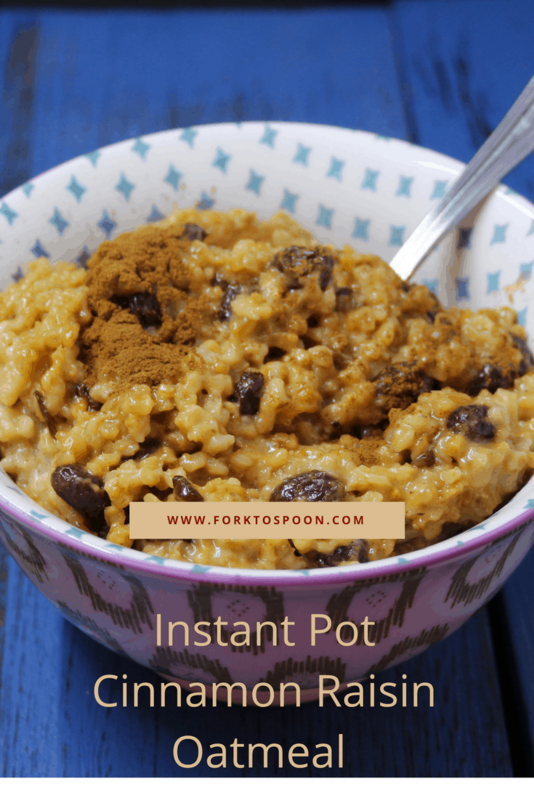 You will soon have a great smell (nutty) coming from your Instant Pot. Add your milk and water and mix well. 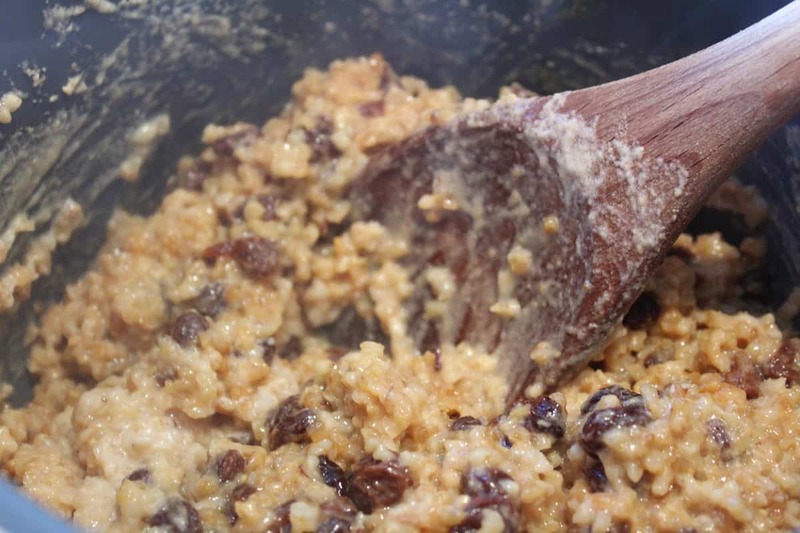 Mix in the cinnamon & raisans, they follow the directions in the recipe, below. 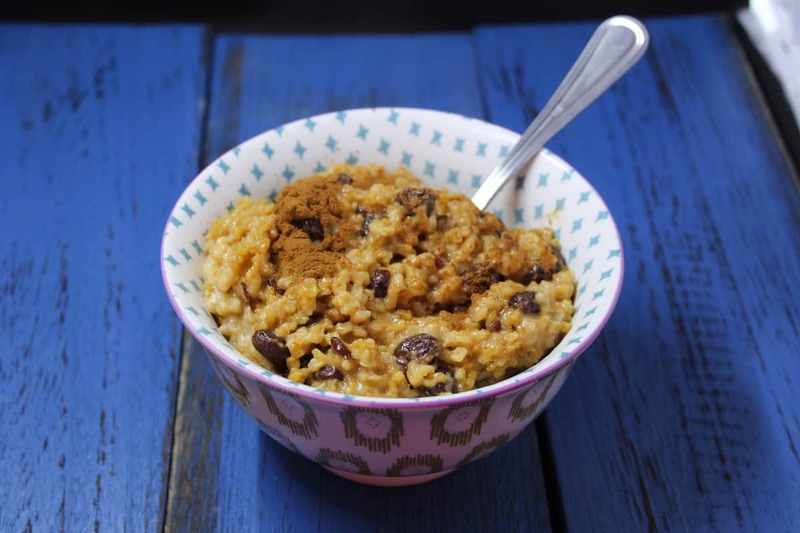 In your Instant Pot Bowl, place the butter and steel cut oats. Then press the saute' button and allow the butter to melt. 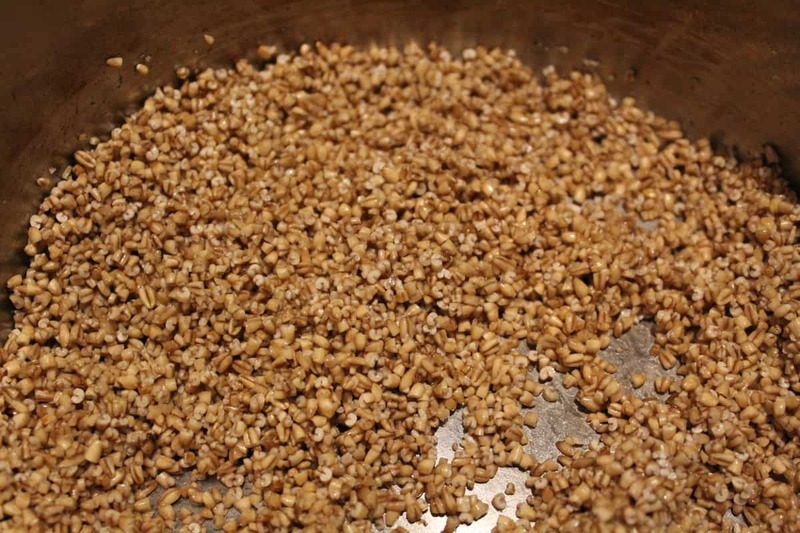 While the butter is melting, remember to stir your oats, so they don't burn or stick. 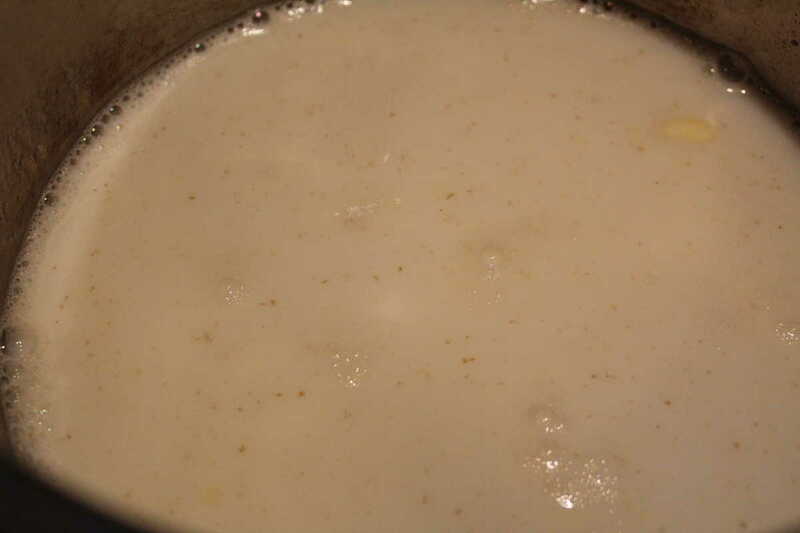 Pour the water, milk, salt, sugar, raisins, and cinnamon into the bowl, mix well. Then place the lid on the Instant Pot, and use the manual high-pressure setting, and set the time for 10 minutes. Make sure that the vent is in the "sealing" position. 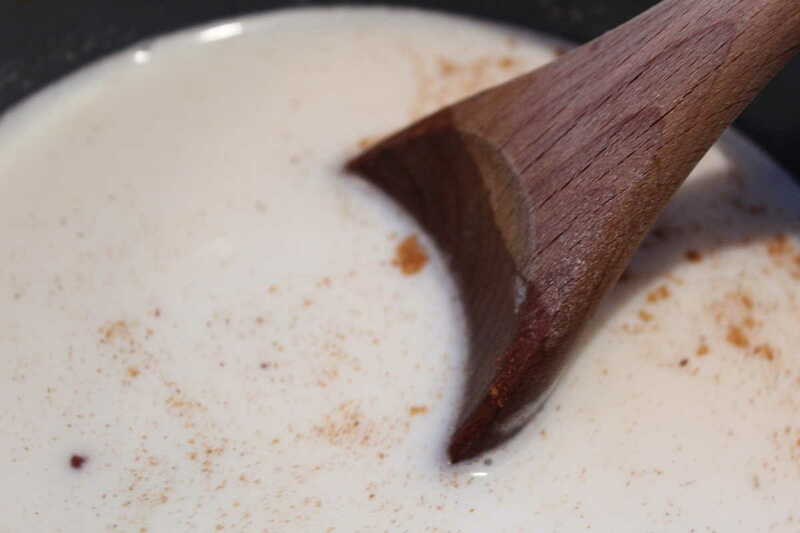 Plate, serve with a tablespoon or 2 of cream, and a sprinkle of brown sugar, garnish with extra cinnamon if you wish.